Recipe for broiled tuna steaks with lemon, soy sauce, and mustard. Easy and quick recipe, very healthy. In a jar or bowl, combine oil, garlic, soy sauce, mustard, lemon juice and pepper. Shake or whisk to blend well. Rinse tuna steaks under cold running water and pat dry. Place the tuna in a shallow bowl; cover with marinade, cover the bowl, and refrigerate for 1 hour. 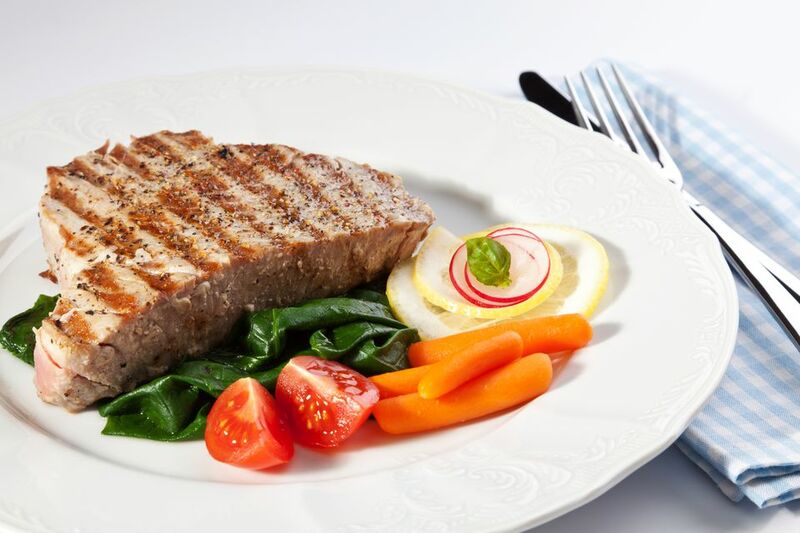 Cook the tuna steaks on a lightly oiled broiler pan under a preheated broiler for about 4 to 5 minutes on each side, or until tuna is opaque.